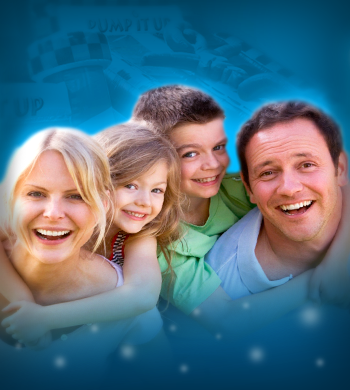 Open Jump is our "open to the public" play time where your child can have the time of their life. Our massive inflatables are not only fun for the kids, but provides a healthy workout that burns off excess energy and helps keep them fit. It’s fun for kids of all ages. Please note: Open Jump hours are offered at the hours listed below; extra sessions are added when kids are out of school. 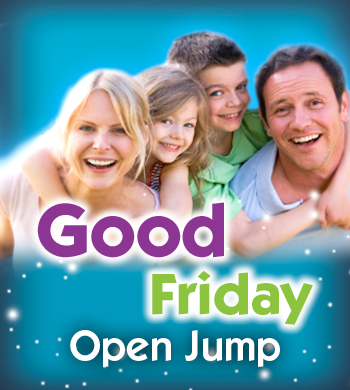 Weekends are usually private parties only and Open Jump is rarely offered; if we do have a special weekend session, we will post it on our event calendar and send out an email notification. Turn down the lights and turn up the fun! 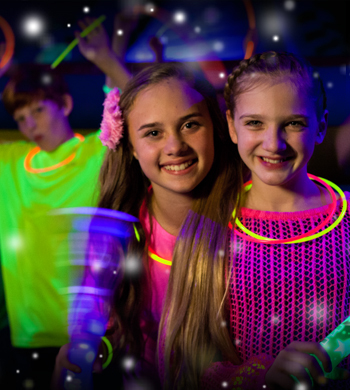 Bring the family for a special evening Open Jump session with Glow! Admission includes playtime and 1 glow necklace!! Additional glow necklaces may be purchased for $1 each (+tax). 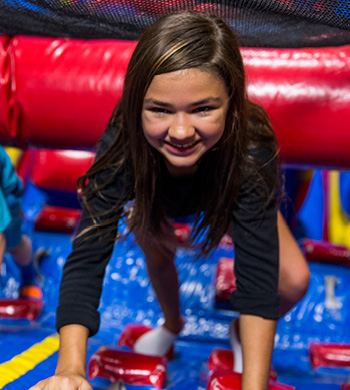 Come have some Friday night family fun together at Pump It Up Dallas! We will have tons of jumping fun with our very popular Go Glow going in one arena! Cost of admission includes playtime in our arenas, 2 slices of pizza & a drink per child, & 1 glow necklace per child. RESERVATIONS (must prepay) ARE REQUIRED. Reservations must be received by 4:00pm CST the day of the event. Tickets valid at Forest Lane store only, for date/time/event only, and are non-refundable. Socks; a parent or guardian (18 or over) must sign in, complete a waiver, and remain at the event. School is out but fun is in at Pump It Up Dallas! Bring the kids by to jump off some energy! Drop in to play anytime during the open hours; re-entry after leaving the premises will require another payment of admission. We have pre-packaged snacks (chips, candy, etc) and drinks available for purchase at the front desk but we do not sell meals/lunch during Open Jump. No charge for babies under 2 yrs or adults 18 & over. Socks; a parent or guardian (18 or over) must sign in, complete a waiver and remain at the event. Join us on Easter Sunday for some eggs-cellent fun! 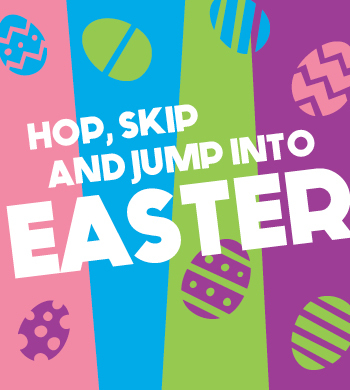 There will be tons of jumping fun and a special Easter treat for the kids! Space is limited for safety. Buy tickets online to guarantee your spot or pay at the door (space permitting). Tickets may be purchased ahead of time online or at the door when you arrive. Socks are required; a parent or guardian (18 or over) must sign in, complete a waiver, and remain at the event.